Today, at Microsoft’s Ignite Conference in Atlanta, Georgia, we announced updates across Office 365 to help IT professionals drive digital transformation within their organizations. I was excited to showcase new intelligent cloud services that help make your employees more productive and your organization more secure. Here’s a breakdown of today’s key news, including new services for Office apps like Word, Excel and PowerPoint, as well as new security capabilities, richer communication features and enhancements for team collaboration across Office 365. Availability: Tap is available today in Word and Outlook on Windows desktops, for Office 365 Business Premium, Enterprise E3 and E5 subscribers in First Release for Current Channel. Learn more on this page about ensuring you have refreshed Office 2016 with the September updates. 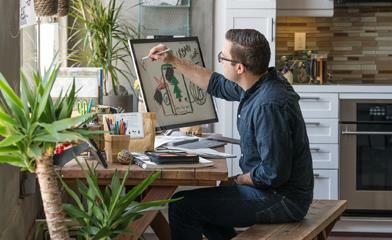 Availability: QuickStarter is available today in Sway on the web, in English within the U.S., U.K. and Canada. Education customers using Sway have a slightly modified version to meet the needs of educators. QuickStarter in PowerPoint on Windows desktop is coming to Insiders this winter, and Office 365 subscribers in 2017. Designer transforms text—It’s easy to get beautiful designs in minutes for even more types of slides. Designer in PowerPoint now can recommend professional design options for bulleted process lists. This expansion builds upon previous Designer updates to incorporate facial detection, color extraction and more in images. Additional categories of text will be supported in the future, such as timelines. Stay tuned for more! Availability: Designer support for text is now available in PowerPoint on Windows desktops, for Office 365 subscribers in the Office Insider program. Learn more on this page about ensuring you have refreshed Office 2016 with the September updates. Designer support for text in PowerPoint on Mac is coming soon, for Office 365 subscribers. PowerPoint Designer now provides design recommendations for bulleted process lists. Availability: Maps in Excel on Windows desktops, Windows Mobile and Android are coming by the end of 2016, for Office 365 subscribers. Availability: Microsoft MyAnalytics is now available, included at no additional cost for Office 365 Enterprise E5 subscribers. Improvements to Advanced Threat Protection (ATP)—New ATP features help keep your employees secure without impacting productivity. URL Detonation analyzes suspicious attachment links in a virtual environment, while Dynamic Delivery scans attachments for malware without delaying email delivery. We’re also bringing ATP to SharePoint Online and the Office desktop apps. 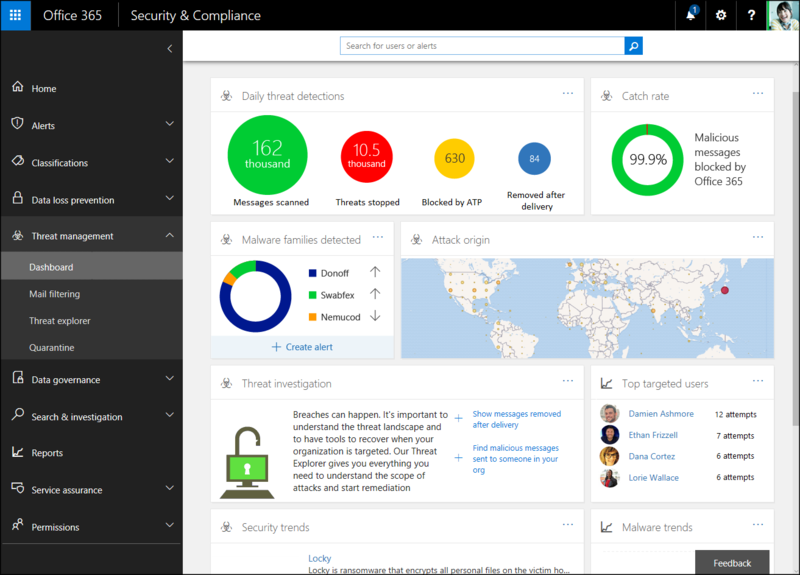 Security admins can explore threats and gather insights about attacks with new reporting capabilities, as well as correlate threats across your network with Windows Defender ATP integration. With Threat Intelligence, you can monitor and protect against risks before they hit your organization. The intelligence behind Advanced Data Governance assists you with data management. Availability: Advanced Threat Protection (ATP) improvements will start to roll out by the end of 2016. Threat Intelligence and enhanced Advanced Data Governance capabilities will be available in the first quarter of 2017. 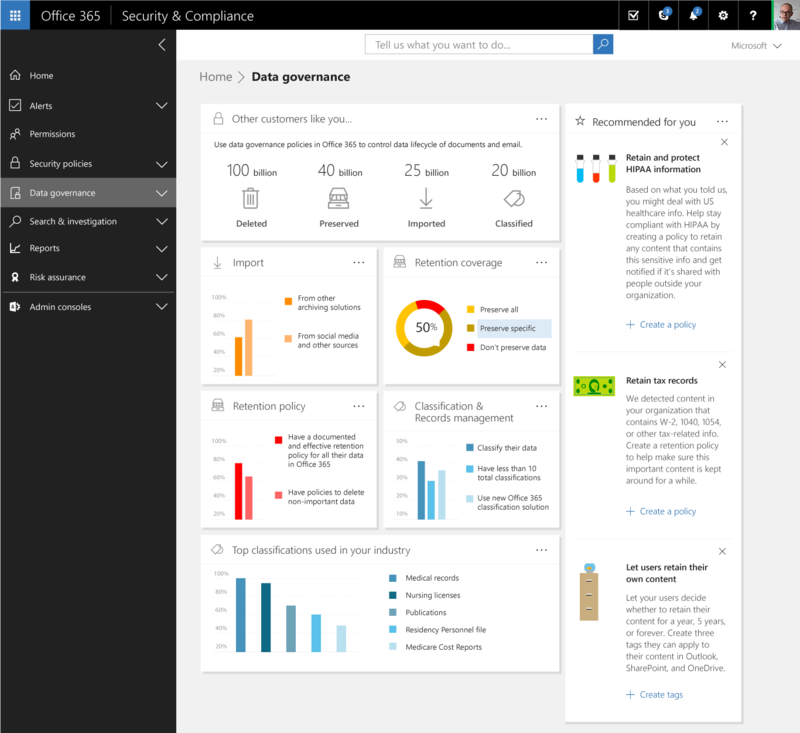 All three will be included at no additional cost in the Office 365 Enterprise E5 plan and the new Secure Productive Enterprise E5 offering. Today, we also announced several updates which help teams and deskless workers more effectively communicate, collaborate and stay connected. Availability: Yammer integration with Office 365 Groups is rolling out over the next several months for Office 365 commercial customers. Availability: Microsoft StaffHub is now available in public preview for the web, iOS and Android, for Office 365 Enterprise K1, E1, E3 and E5 customers. With Microsoft StaffHub, managers can easily adjust schedules, deskless workers can easily view their shift information and more. It’s a big set of news from the Office team this week. We also have some exciting news for developers and the next set of Office platform functionality—check out our developer blog to learn more. You can learn even more about what’s new for Office 365 subscribers this month at: Office 2016 | Office for Mac | Office Mobile for Windows | Office for iPhone and iPad | Office on Android. If you’re an Office 365 Home or Personal customer, be sure to sign up for Office Insider to be the first to use the latest and greatest in Office productivity. Commercial customers on both Current Channel and Deferred Channel can also get early access to a fully supported build through First Release. This site explains more about when you can expect to receive the features announced today.